Dr. Oz had a very interesting show May 7, 2014, as he told us key ingredients for flushing away fat, tips on selecting some low-carb bread, cooked up some Vegan Chorizo Tacos with Mark Bittman, helped a woman see why she wasn’t able to lose weight, and learned life coach Lauren Zander’s tips for achieving your health goals. Dr. Oz talked about ways to slim down this season, including key ingredients for flushing away fat and tips on reaching health goals. How can you flush fat away without really trying? All it takes some green tea with garlic, white vinegar, Litramine, and vitamin C. Dr. Oz had all the tips for how these products can flush the fat right off your hips and out of your system. One of the biggest obstacles for people when going on a diet is cutting out the bread. Dr. Oz has a solution: don’t get rid of it! Just substitute it out with these low carb bread options, such as Parmesan crisps or flaxseed lavash. Dr. Oz talked to Mark Bittman, who lost 30 pounds in six months with a simple dietary change: until 6 p.m., he ate very clean with a vegan diet and plenty of vegetables and fruit. But after 6 p.m.? He ate whatever he wanted, including wine and steak. Find out all about it below. Plus, Mark Bittman and Dr. Oz cooked up some of Mark Bittman’s Vegan Chorizo Tacos. 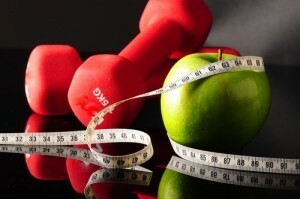 Are you having trouble reaching your health goals? Life coach Lauren Zander opened up about her tips for success. Life coach Lauren Zander talks to Dr. Oz about getting rid of abusive inner dialogue and focusing on one small 14-day change in your life.